The Parker-Gray High School year of 1942 – 1943 had one principal and twenty-two teachers. 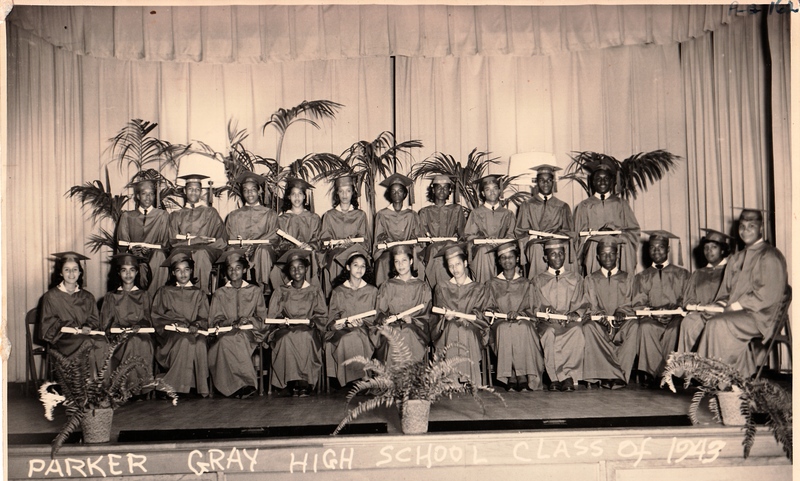 Above is a picture of Parker-Gray High School graduating class of 1943. Twenty-four students were in the Class of 1943. This entry was posted in Education, Parker-Gray School and tagged 1943 Alexandria VA Parker-Gray High School Class, 1943 Parker-Gray High School Teachers, 1943 Teachers of Parker-Gray. Bookmark the permalink. Connie Chissell is my mother – how wonderful to see her here! Thanks! Also I co-author a book last year (2013)called “African Americans of Alexandria, VA–Beacons of Light in the Twentieth Century. We wrote about your grandmother and your grandfather.